This historical fiction tells the story of 5 families in different parts of the world: Wales, England, Russia, America and Germany. 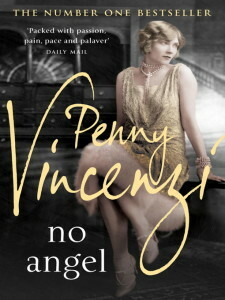 It takes place before, during and right after World War I. Ethel and Billy Williams are siblings in the poor mining town of Aberowen, and they want to make a better life for themselves. Earl and Maud Fitzherbert are brother and sister in the English aristocracy but they don’t agree on politics. Grigori and Lev Peshkov are brothers in Russia who have been traumatized by their parents’ death at the hands of the regime of the tsar. Gus Dewar works for the US President Woodrow Wilson, and he travels extensively to Europe and Russia. Walter von Ulrich is a German intelligence officer who is against the war. In spite of their disparities, the characters’ lives are all interconnected. However, they will each experience the war differently, and it will change all of them. At the beginning of the book, Earl Fitzherbert’s estate in Wales reminded me of the TV series Downtown Abbey, all the more so because the story was taking place in the same time period. Since I am a big fan of the series, and I have been waiting impatiently for season 5 to start, it completely drew me to the story. Fall of Giants is a compelling and well-constructed saga covering World War I, the Russian Revolution and the fight for women’s suffrage in Great Britain. 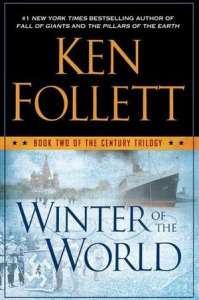 Ken Follett has conducted an impressive amount of research for this book, and I learned a lot about the history of WWI. There was a bit too much politics for my taste though but I understand that this was necessary to explain how the Great War came about. 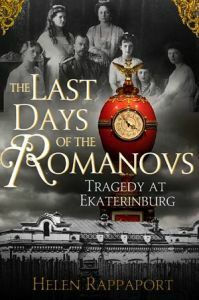 However, the book was thought-provoking and suspenseful, and the multiple story lines allowed the reader to see the war from different points of view. I especially liked the strong female characters who were trying to change their lot amid all this turmoil. The size of the book may seem a bit daunting to some readers but the 922-page volume is so gripping that they will be surprised at how fast they read it. 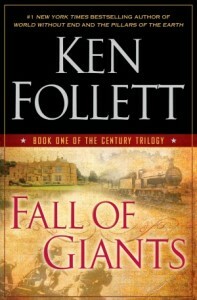 Fall of Giants is the first book in the Century Trilogy, and I can’t wait to read the other two volumes in the series. Spanish sculptor Casto Solano made a statue of Ken Follett. It is located outside the cathedral Santa Maria in Vitoria-Gasteiz, Spain. 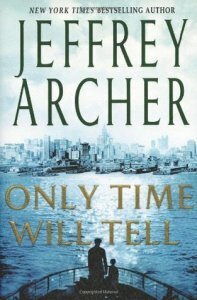 Most of the author’s books have been made into movies or mini-series. Ken Follett is married to Barbara Broer, a Labour Party politician, former Member of Parliament and former Minister for Culture. The author plays the bass guitar in a band called Damn Right I Got the Blues. He also plays the bass balalaika in the folk band Clog Iron. About the author and his work: Ken Follett’s Website. I read it and loved it! Hi Coralie! Have you also read the 2 other books in the series?